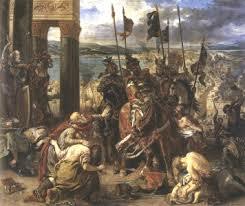 The Middle Ages are dated from 5th century AD, with the fall of the roman empire till 15th century AD. In the history of mankind fashion and clothing has always been a topic of controversy and of great importance, during the middle ages clothing had seen a lot of changes in almost every century, but one thing that was common in all of the middle ages was a strict rule when it came to wearing clothing and people from all classes, from the kings, to the nobles and the common people all followed this rule. The new Europe stayed with the church.The toga’s and fine linen and silk, which wear the clothing of the Romans were replaced with woolen legging and fur lined skirts and tunic. 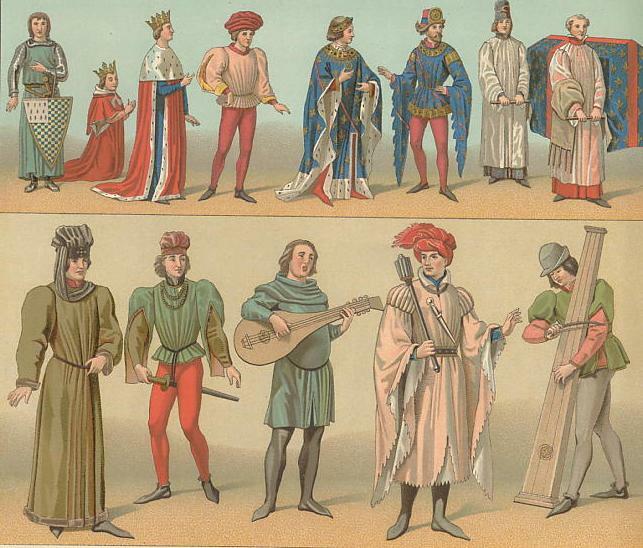 At the beginning of the middle ages fashion and clothing saw very Little change but around the 11th century when trade, travel and wealth increased the clothing became elegant and sophisticated. 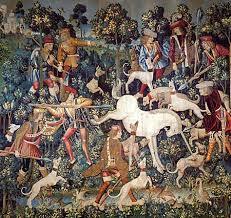 During early Middle Ages clothing was much simpler, the primary material for making clothing was wool. A long rectangle wool cloth with a hole in the center and crude stitching at the sides, almost like a modern day tunic was worn by both men and women. A thin under tunic and a heavier tunic was worn but the length varied, with the women the length would go all the way down to their legs almost touching the floor, but with the men the length went from their knees till as high as their thighs almost resembling the modern day mini skirt. Wearing a belt around their tunic was common in both the sexes. 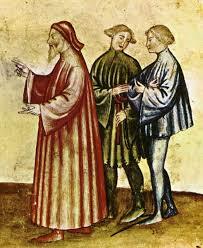 Men wore legging known to them as hoes to cover their legs and also keep them protected from the cold weather. Fur was also used extensively, to keep themselves warm during the harsh winter, while the rich could afford soft fur, the poor would use fur made from weasels and minks. The turning point in the middle ages came during the 11th century, with the exchange of trade, travel and wealth, the people started experimenting with their clothing and much more fashionable clothes was coming into existences. The influence from the east brought a huge revolution in the clothing, a cloak like clothing or a long jacket was worn over their outfits, usually having very intricate and detailed work done on them. Women continued wearing long robes or dresses but variation were made in them, sometimes the upper clothing and the lower clothing referring the lower section of the gown were separate. Both were made of the same matching material but fastened together separately with a belt around the waist and with a decorative cloak over the gown. 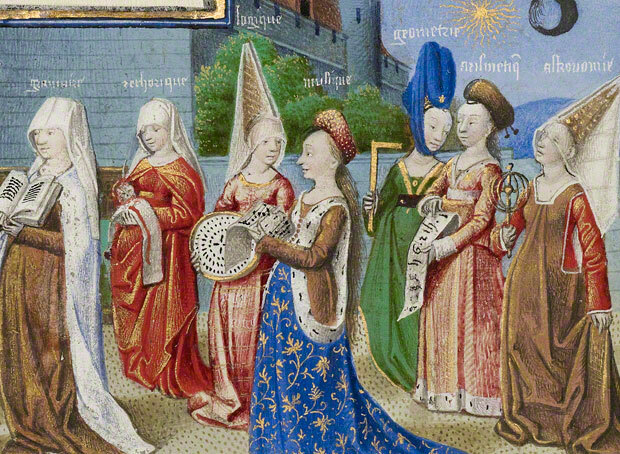 Hats became a huge popularity among women, in the middle ages covering a women’s hair was in trend, it also was a custom and showing hair was considered an illicit act. Therefore elaborated headdresses were soon becoming an emerging trend. Wimple was the most common head covering worn by women of all classes, though the upper class women could afford to decorate them and common people could only afford a simple cloth to do so. Men fashion also saw a drastic change, while the tunics became shorter, the legging worn by them became more extravagant, having two colors which was the trend then, men even wore houppeland which was like a long tunic with elaborated sleeves. Hats were also very common with the men. One of the most noticeable fashion trend of the era was the pointed shoes worn by men, the toes of the shoe was elongated and reached at such length that over the course of time people had to hold on to their shoes to be able to walk properly. Another trend which was common with both the sexes were the elaborated sleeves, the sleeves of their gowns or robes became long and elaborated also known as dalmation sleeves. 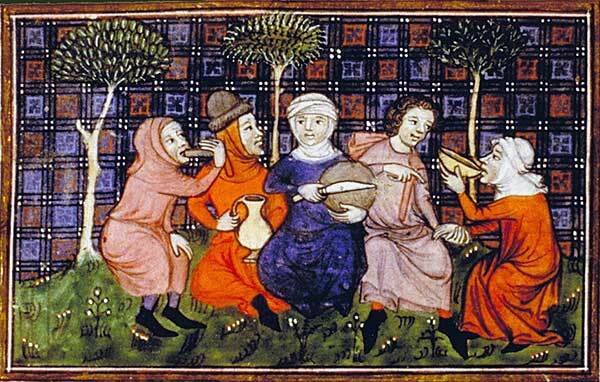 Though the fashion was changing drastically, one thing that remained common over the entire middle ages was the clothing of the common people or the peasant people, with the rich gaining more wealth the poor was left with no option but to do with what they had, thus this also reflected in their clothing which barley changed at all. 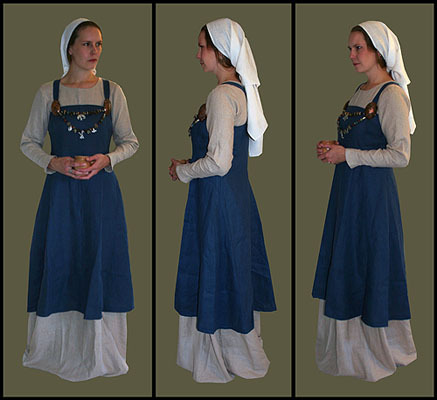 The peasant men wore stocking and tunic and women wore long gowns with sleeveless tunic and wiples to cover their hair. Sheepskin cloaks and woolen hats and mittens were worn in winter. Leather boots were covered with wooden patens to keep the feet dry. Medieval Art grew out the collapsing roman empire, the art of the medieval times are a mix of Christianity and barbaric art forms. Since the middle ages are stretched over a long period of time ( 5th century AD till 15TH century AD ) their art form varies in every decade.Byzantine art, Romanesque art and Gothic art are the various art forms of the middle ages. 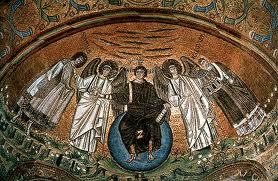 Byzantine art, is characterized by its lack of realism. The main focus of this art form where the Christian symbols, the painting was generally flat without any shadow, the objects in the art were always serious or somber. The subjects of this art form was usually religious depicting stories of Jesus and the Virgin Mary. Romanesque Art, was influenced by both the Romans and Byzantine Art. The focus on religion and Christianity was very prevalent in this art form. It included architectural details like stained glass art, large murals on walls and domed ceilings, and carvings on buildings and columns. It also included illuminated manuscript art and sculpture. 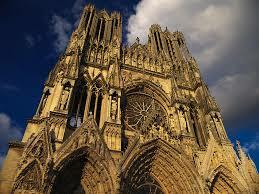 Gothic art, grew out of Romanesque art. 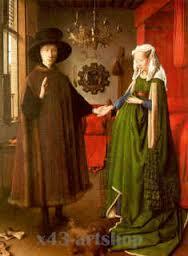 Gothic artists began to use brighter colors, dimensions and perspective, and moved toward more realism. They also began to use more shadows and light in their art and tried out new subject matters beyond just religion including animals in mythic scenes.